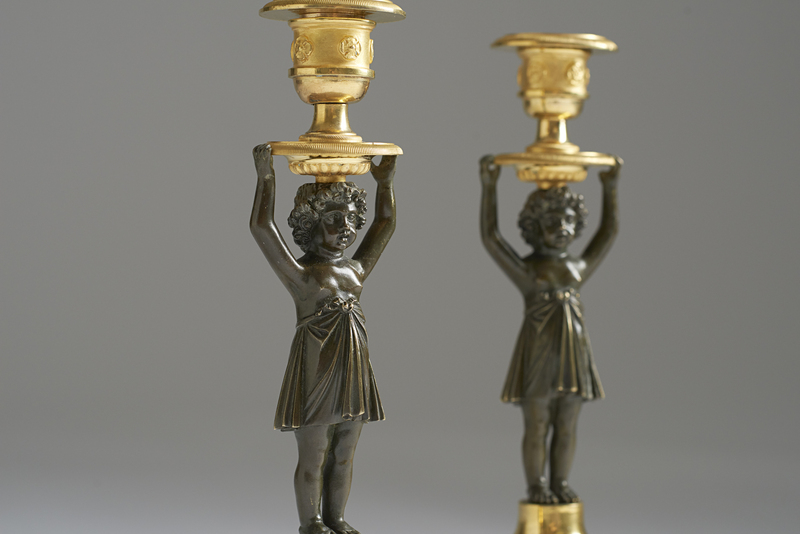 A pair of Empire ormolu and patinated bronze candlesticks, Paris circa 1810. 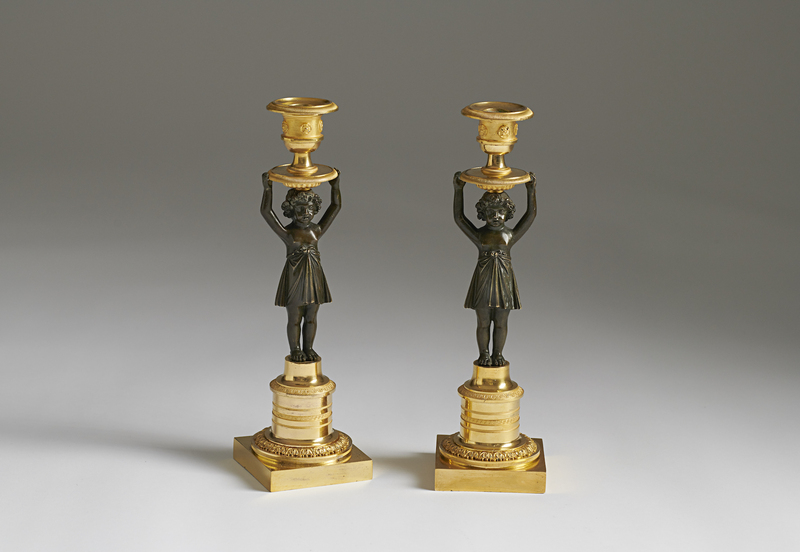 Each with a patinated female, holding a dished drip-pan on its head centered with a flower decorated candleholder. 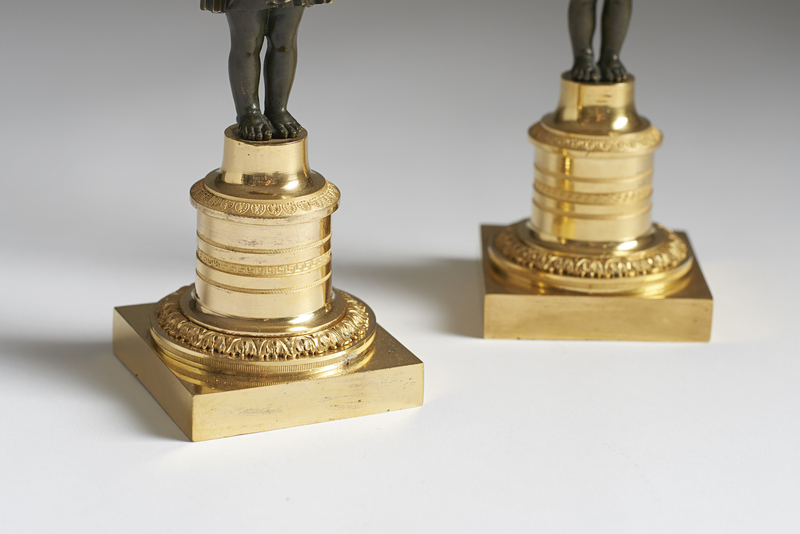 Standing on a circular ormolu plinth with a square base.